Venice is amazing. One young man, a gondolier since age 13, said he was Venetian, not Italian. St. Mark's has beautiful floors. Many of them resembled American patchwork quilts. 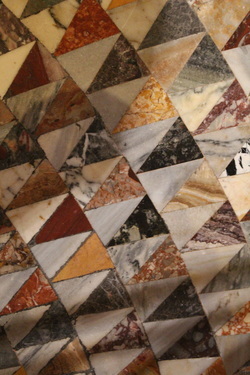 I had always thought that the patterns we use in quilting were uniquely American, but finding roots in the floors of St Mark's Cathedral was inspiring. What we do in cloth, they did in marble. We took a ride on a gondola, which included an accordion and singer. The romantic kind, somewhat dimmed because there were 4-5 of the tour group on each gondola, and no wine. It did get exciting when our gondolier narrowly missed ramming the opposition--a motorized boat. Walking around Venice was pretty easy, I mean, how can you get lost on an island? Well..you have to walk north to find the bridge to take you south. It may or may not be on the map. 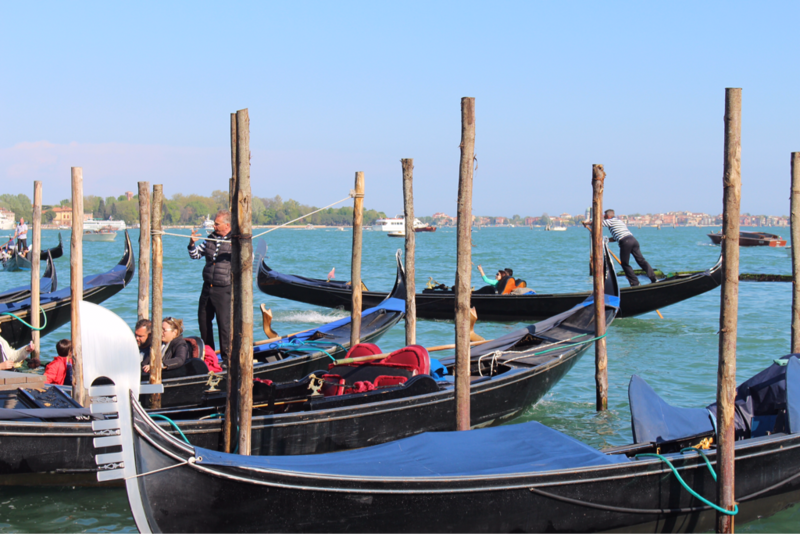 Or you can take a quick gondola-taxi which also means boarding and exiting at undisclosed locations.